A conversation with Dr Limin Zhu, Clinic of Chinese Medicine, Swansea. Dr Limin Zhu graduated in Traditional Chinese Medicine (TCM) from the University of Liaoning, China, which took 5 years of study in both Western and Chinese medicine. She was conferred Bachelor of TCM in 1982 and then worked for 9 years as a Senior Physician in Liaoyang Hospital of TCM, China, and also worked for one year in Beijing Hospital of TCM before she came to Swansea in 1991. She has had busy practices in the Swansea Clinic of Natural Medicine for 7 years and then, in April 2000, set up her own clinic – The Clinic of Chinese Medicine in 107 Walter Road. With over 29 years of experience in treating various conditions she provides a professional, warm and friendly atmosphere for her patients. Dr Limin Zhu’s father, worked as a Consultant in a hospital in China. Her husband’s research as a civil engineer at Swansea University brought her to Swansea in 1991. They have a son, who having studied medicine at Cambridge University is now a cardiac doctor at Cambridge University Hospital. Perhaps you’ve been putting up with a health condition for some time, and maybe you have tried medication, or other therapies, doing everything you can think of that will improve your health, and you’re still having a hard time trying to figure out why it isn’t working. Dr Limin’s chinese medicine success stories are in treating fertility problems in women. She now has a growing Baby Club as testimony to her work in the Swansea Clinic. Her many other success stories are in treating blood pressure, arthritis, migraine and stress relief. As a long term migraine and temporomandibular disorder sufferer (a problem affecting the chewing muscles and the joints between the jaw and the base of the skull) I highly recommend her migraine and pain relief acupuncture treatment. 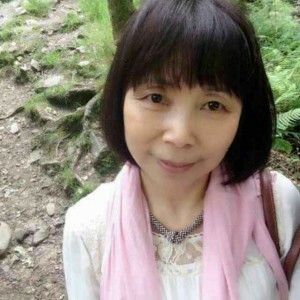 As a highly loved and respected Chinese medicine practitioner in the Swansea community, she certainly does provide a professional, warm and friendly atmosphere for all her patients. Carolyn Williams, helping you find ways to re-energise yourself for your business? Posted in Business, Fitness, Health, Mentoring, Wellbeing | Comments Off on A conversation with Dr Limin Zhu, Clinic of Chinese Medicine, Swansea.